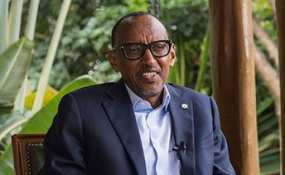 Rwanda: Is Kagame Looking for an Alternative Route to Sea? Rwanda, a small landlocked country, is served by two major transport corridors -- the Central Corridor that runs from Dar es Salaam through Tanzania's heartland, and the Northern Corridor that runs from Mombasa through Kenya and Uganda. About 80 per cent of Rwanda's import cargo is handled through the Dar port, but its major exports -- minerals, tea and coffee -- go through Uganda to the port of Mombasa. Rwanda consumes more than 200 million litres of fuel annually, averaging 20 million litres a month. In the third quarter of 2018, Rwanda's imports from EAC partner states totalled $154 million, representing 20.8 per cent of all its imports. Tanzania's share of those imports was 24 per cent or third after Uganda and Kenya, who accounted for 43 per cent and 32 per cent of the imports respectively. "The presidents had a tête-à-tête and spoke mainly about bilateral relations and promotion of trade between the two countries," Mr Nduhungirehe told The EastAfrican, without further details. Talks between the two presidents are said to have also featured Rwanda's frosty ties with Burundi. Analysts said President Kagame is being tactful in seeking President Magufuli's intervention in Rwanda's developing crises in the region. "As the chairperson of the EAC, Kagame understands that dialogue is important. So I believe he sees this as the right time to solve this problem, and Magufuli may be the right person to advise him on the way forward," Prof Buchanan said. President Kagame's last state visit to Tanzania was in January 2018, when he went for a review of the joint standard gauge railway plan that is to run from Isaka to Kigali. Construction of the 571km railway line at a cost of $2.5 billion was set to begin last December.